Simmtronics to launch its first 'desi' Android device in India, aims to compete with popular brands like Micromax. 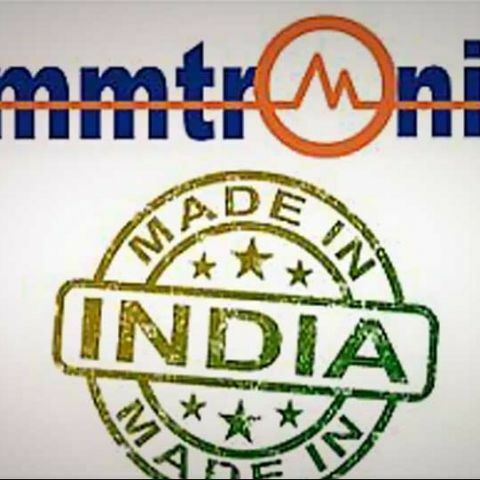 Simmtronics is planning to manufacture and launch its first 'made in India' Android device which will be manufactured in the company's factory in New Delhi. The only parts that will be imported in the device will be the chips but the remaining parts like circuit boards, mains will all be made locally. The company added that it is also looking forward to launch a budget device with decent specifications that can compete with popular brands like Micromax, Lava, Spice, etc. By manufacturing the device in India, Simmtronics will save about 6 percent in import duties and will not have to pay any shipments costs which will reduce the price of the device considerably. This will also affect manufacturers like Karbonn, Micromax, and more which import handsets from the Chinese market. Simmtronics managing director, Indrajit Sabharwal stated that, "Android smartphones sold by local players in India are assembled and manufactured in China. They are imported into India." He further added, "We will manufacture the phones in India. We will get chips like processors from Taiwanese or Chinese firms and manufacture the printed circuit boards and mainboards for the phones in our local factory." Simmtronics has earlier sold tablets under the XPad brand in India and also exports to countries in the Middle East and Africa. It had recently launched the XPAD X-722 tablet with a 7-inch display screen with 800 x 480 pixels display resolution. It has a 2 MP rear camera and VGA front camera for video calling. On the connectivity front, the tablet supports 2G voice-calling and data (GSM/GPRS), Bluetooth, Wi-Fi and 3G via USB Dongle. The tablet is available for Rs. 5,999 in India.